We may receive a commission when you click on one of our links and make a purchase. UrthBox is a monthly healthy snack box. 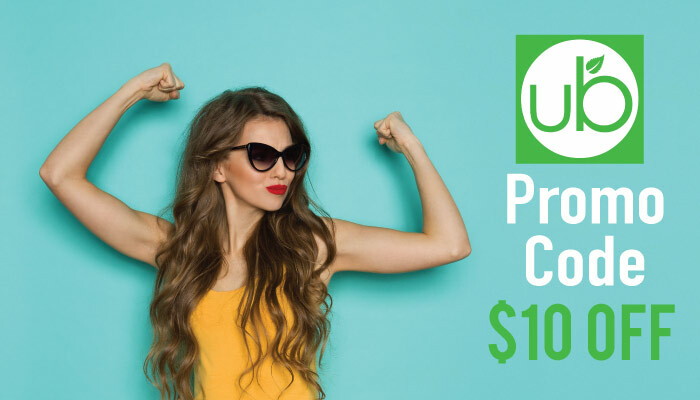 Click here to get $10 off your first month! You can get $10 off your first month of healthy snacks when you sign up with this link. 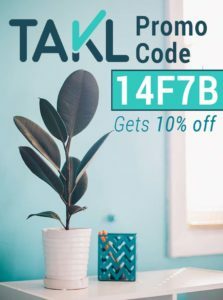 The discount link works by automatically applying an UrthBox Coupon Code to your cart. You’ll see the $10 discount code on the left hand side at checkout. 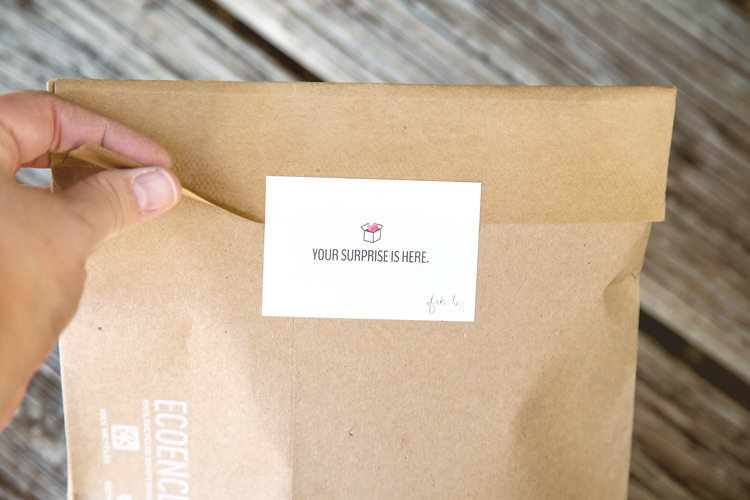 UrthBox sends a package of monthly snacks to your doorstep every month. The cost and sizes vary, but shipping is free to the USA for all boxes. There are a variety of sizes to choose from. Their smallest box, the Mini, is only $12.99 per month. You get at least 6 snacks in that box each month, but usually more. The next size up is the Small. It costs $19.99 monthly, and delivers at least 12 snacks per month. If you really love snacks, you might want to go with the Medium. It costs $29.99 a month, and sends you a whopping 18 snacks per month, or more. Lastly, they have the Large. It will set you back $39.99 per month, but in exchange you’ll get 25 snacks or more! 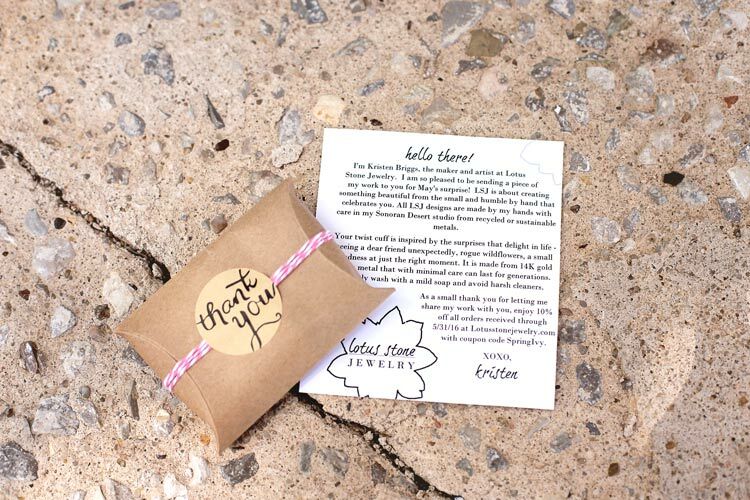 We really like the concept of this size as a small office subscription. 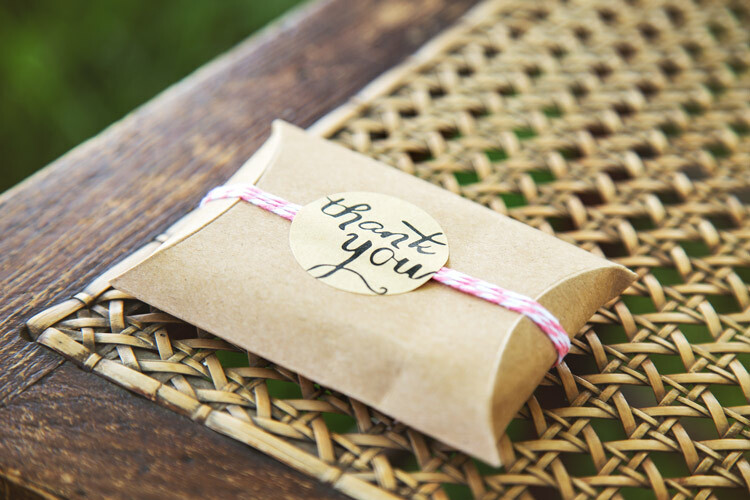 Just put the goodies out in the office kitchen each month, and keep your employees both happy and healthy. But! They also have a giant office subscription, for $199/month. 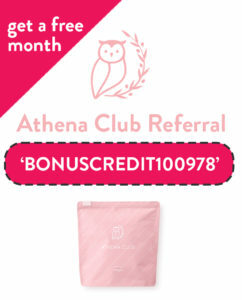 You get at least 100 FULL-SIZED products each month. Say what?! What we love most about UrthBox is the variety of diet options they have. You can choose between: Classic, Gluten-Free, Vegan, or Diet (weight watching). Don’t forget to sign up for UrthBox with this link. 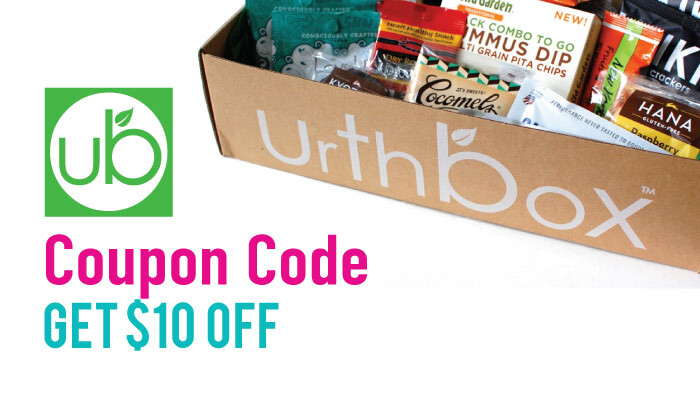 It will attach the current best UrthBox promo code to your shopping cart (currently $10)! 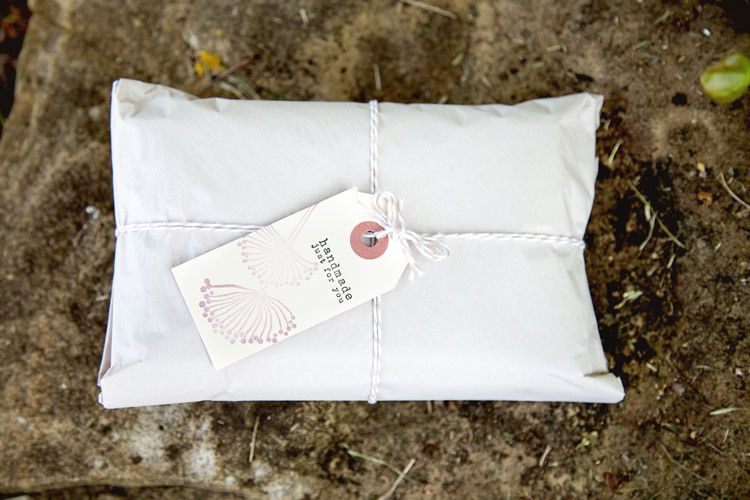 Inspired by nature and screen printed with an original design, our Rosemary subscribers are in for a treat this month. This month brings a soft and cozy infinity scarf, made from an organic cotton and bamboo blend that you can’t help but touch. 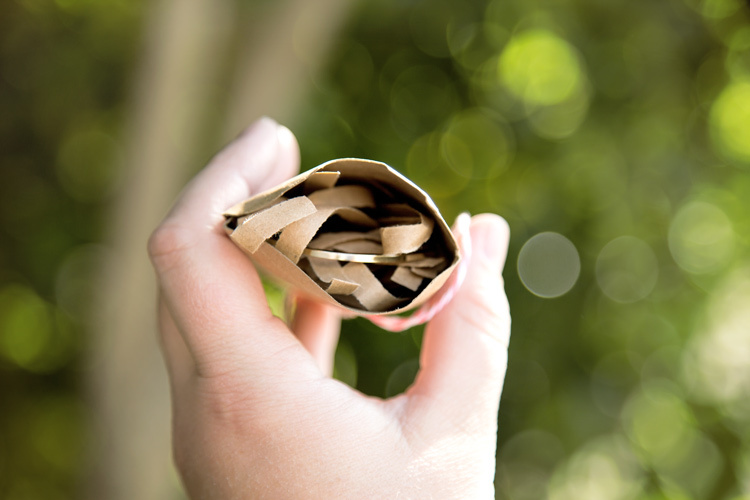 Let’s take a look at the Rosemary subscription! 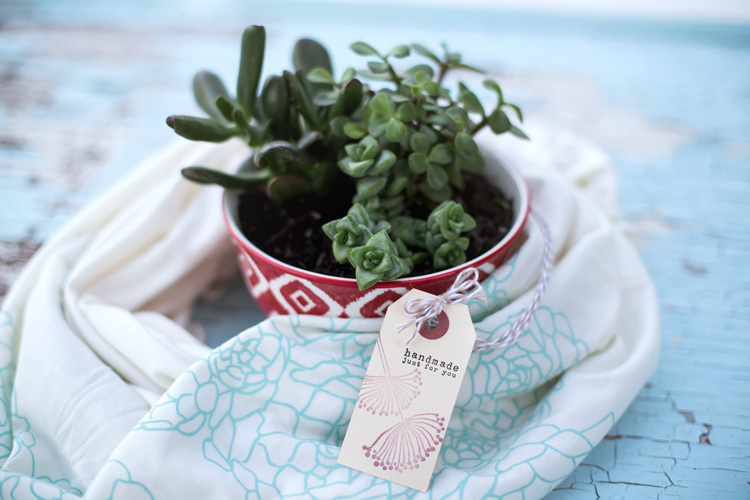 The printed scarf sent to Fair Ivy members is printed with an aqua ink that was mixed exclusively for us and is decorated with succulent plants. Long enough to loop twice and with a lightweight fabric, the scarf from Flytrap Clothing is breezy and an easy add on to any outfit in your closet. The extra width allows this scarf to be easily draped and for those with little ones, it is wide enough to double as a nursing scarf. Based in North Carolina, the clothing and accessories at Flytrap Clothing are all made in the USA and designed by owner Jody Cedzidlo. 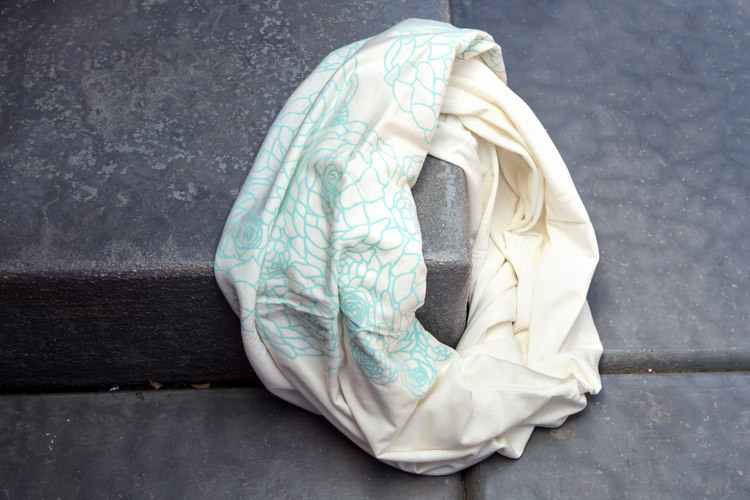 Flytrap Clothing offers hand printed scarves, men’s and women’s clothing at select boutiques across the US and on their website, www.FlyTrapClothing.com. 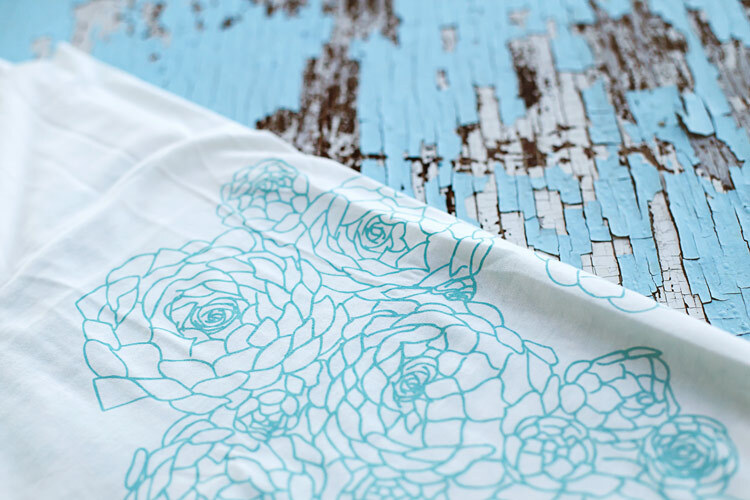 Drop by to see all of their items and find out more about their process. This month’s packages have been wrapped with care and sent off to doorsteps and mailboxes across the country. We are pleased to welcome back Kristen Briggs with Lotus Stone Jewelry as our artist this month. Her designs are full of clean lines, subtle details and an easy grace that makes them easy to wear every day. 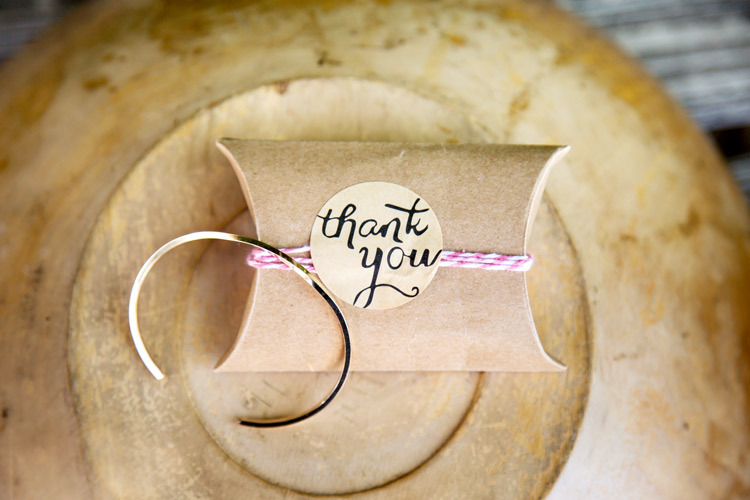 We hope you’ll adore the charming gold cuff bracelet that was chosen specifically for our Fair Ivy subscribers. 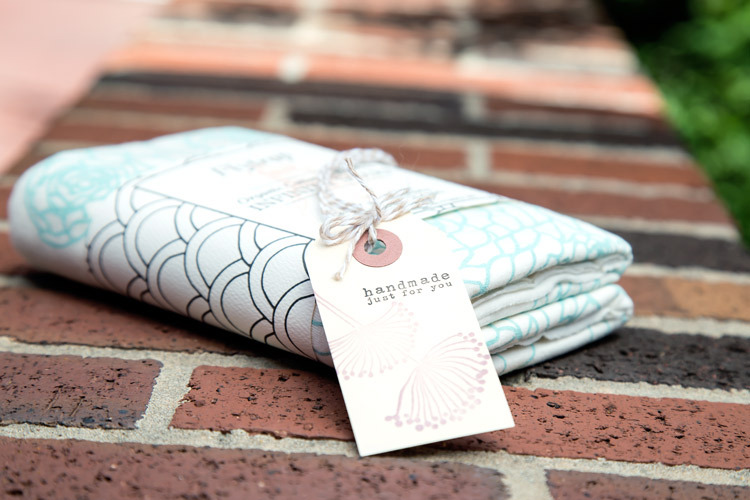 Every monthly gift subscription is hand wrapped by the artist and shipped from their studios to Fair Ivy subscribers. Lotus Stone Jewelry is based in Arizona and Kristen’s jewelry is created using silver, gold and brass as well as semi precious stones. 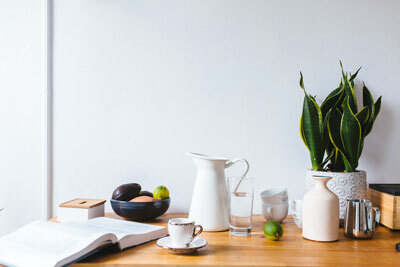 She takes care to design pieces that are both beautiful and practical, perfect for bringing brightness to every day. 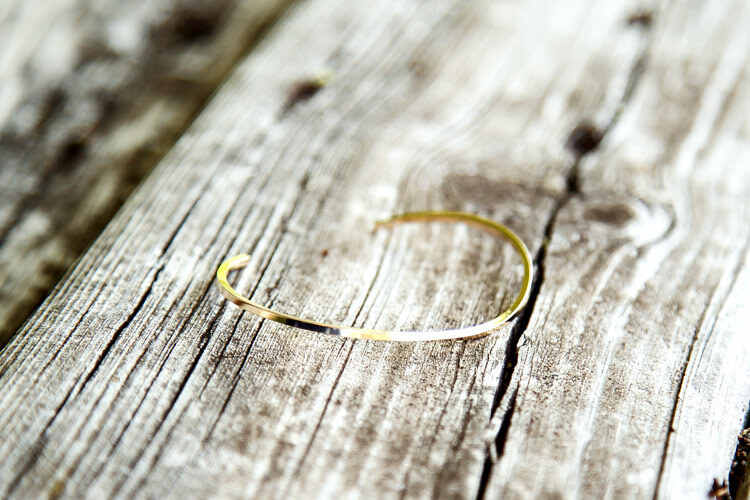 The handmade bracelet sent to our Thyme subscribers is made with 14k gold fill and has a gleaming polished shine. Gently twisted in the middle with squared edges, this is a unique piece of jewelry that can stand on its own or be stacked with other pieces for an even bigger impact. 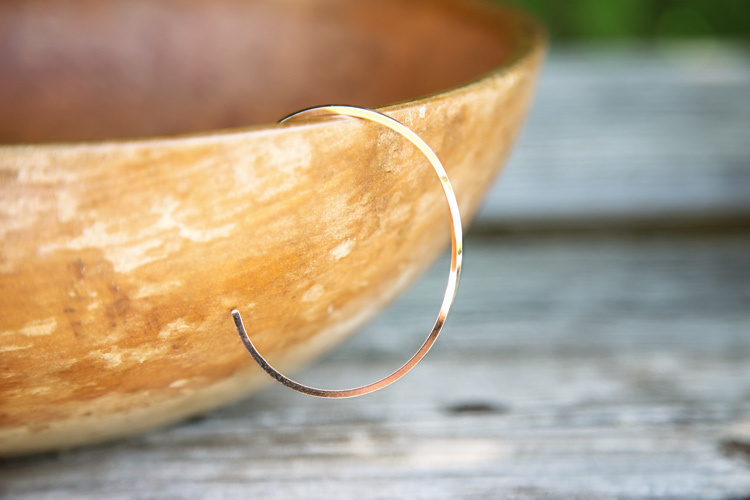 The open cuff design allows you to have a custom fit and to make this piece truly your own. 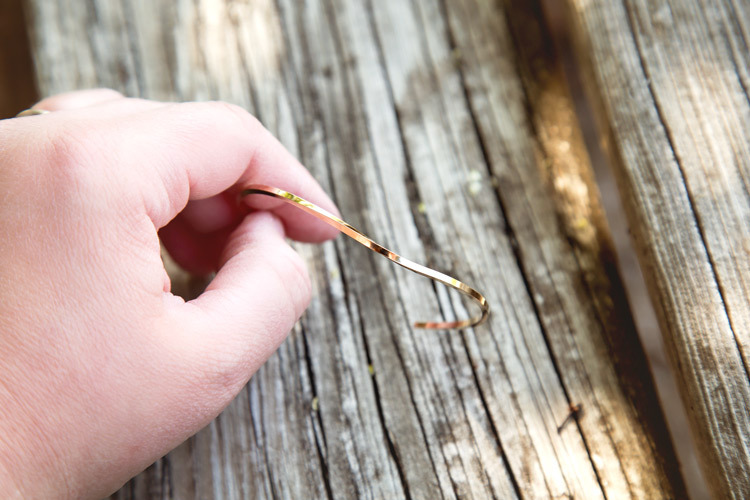 Lightweight and with smoothly contoured edges, this gold bracelet is super comfortable and a breeze to wear. Like other items in the Lotus Stone shop, each cuff bracelet is made by hand with recycled/re-purposed materials. To see Kristen’s other pieces or find a cuff bracelet of your own, be sure to visit Lotus Stone Jewelry. Looking for the best products and services for women? 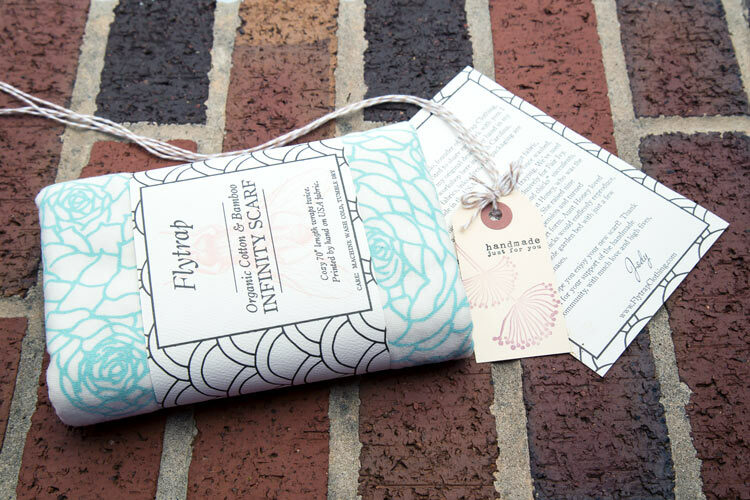 Fair Ivy shares our reviews with you.